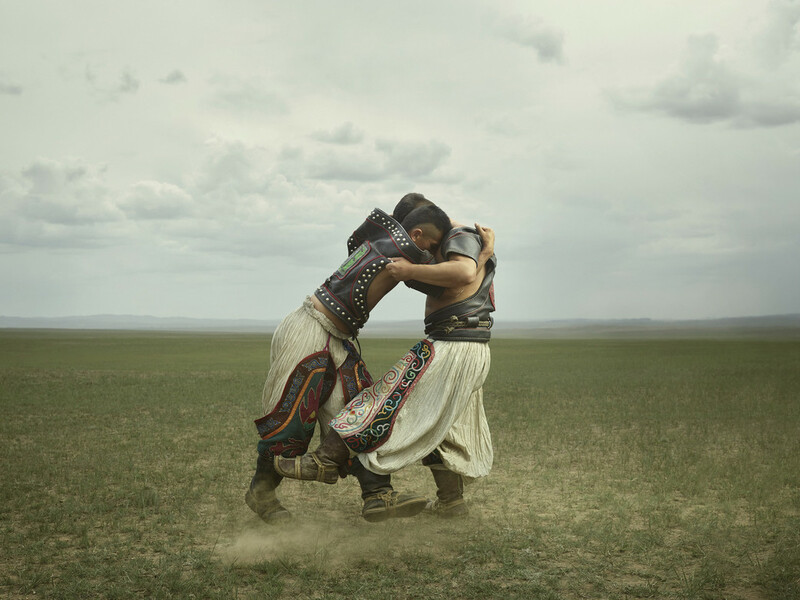 From the steppes of Inner Mongolia to the national stadiums of Ulaanbaatar, Mongolian wrestling has been practiced, largely unchanged, for more than 7,000 years. 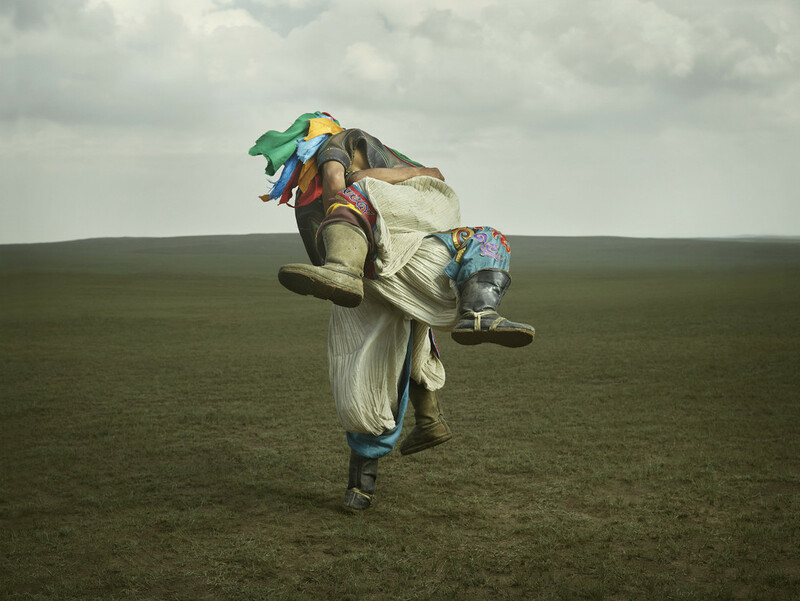 The ancient sport is known as Bökh, from the Mongolian word for “durability.” In the courts of nomadic khans, the sport was considered (along with archery and horsemanship) to be one of the “three manly arts,” and valued as a way to prepare young soldiers for the physical and mental experience of warfare. In a typical Bökh match, each wrestler enters accompanied by a coach-like figure who, as mentor and manager, will often sing in praise of his athlete. 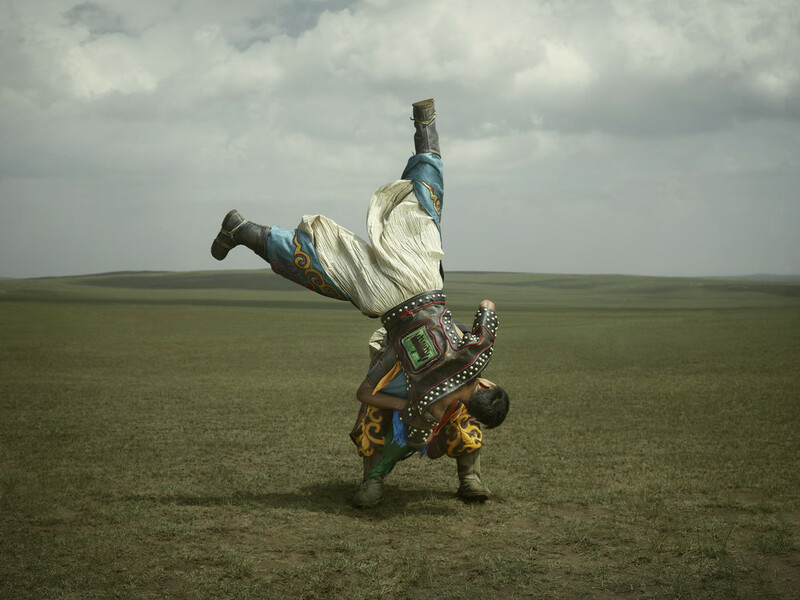 The wrestler will then perform a dance—imitating the movements of a mythical bird—to loosen his muscles and to summon the aid of animal spirits. There are no weight classes in Bökh, just as there are no weight classes in warfare, and, often, the biggest and strongest men win. The rules are relatively simple: there is no punching and no strangling, and a winner is declared only after a part of his opponent’s body—other than the sole of the foot or the palm of the hand—touches the ground. (It is believed that the lack of ground combat in Bökh has roots in the cavalry warfare of ancient times, when a fallen soldier was either killed quickly by lance or sword, or else trampled to death by horses.) At the end of a match, the winner is expected to help his opponent to his feet. 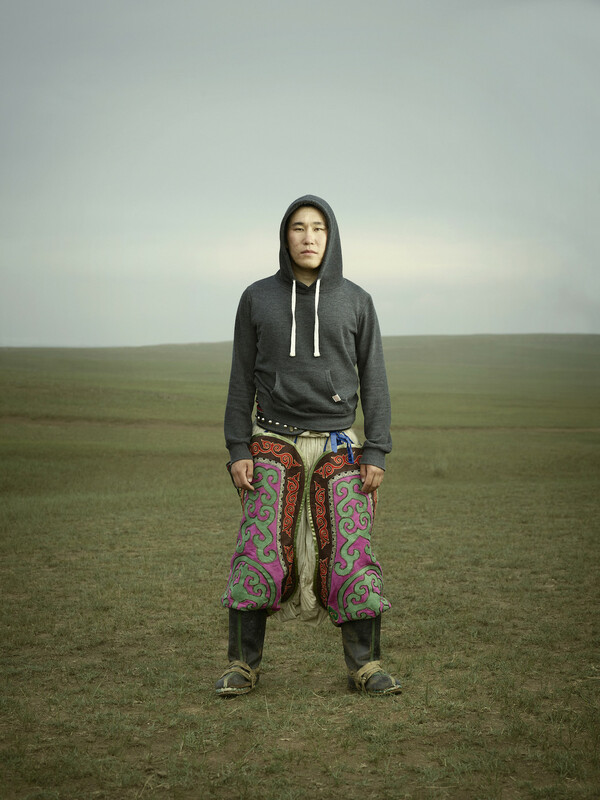 The technique, rules, and costumes of Bökh can vary according to geography and custom. 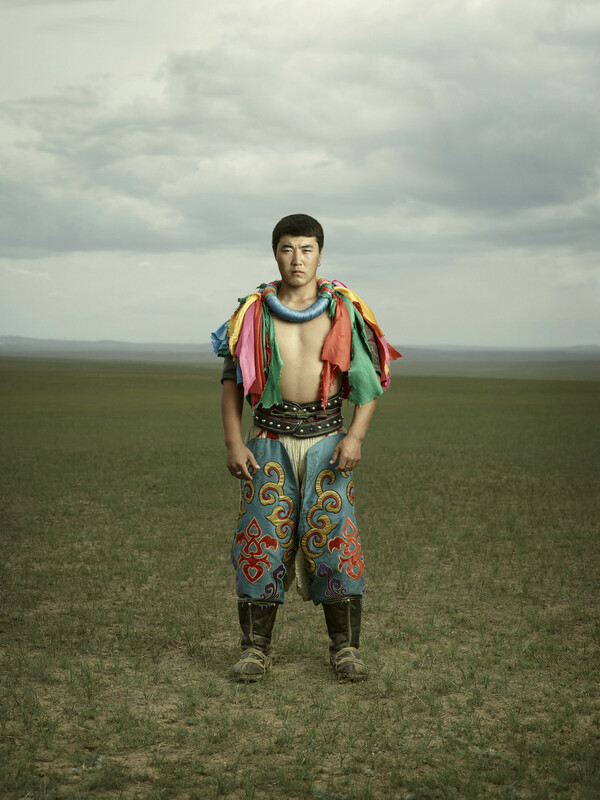 In Mongolia proper, fighters wear a brightly colored vest and briefs made of embroidered silk or nylon, as well as a small hat that is removed before the match begins. Wrestlers are permitted to use their legs to trip their opponent. Matches—which typically last no more than thirty minutes—are often broadcast on national television. 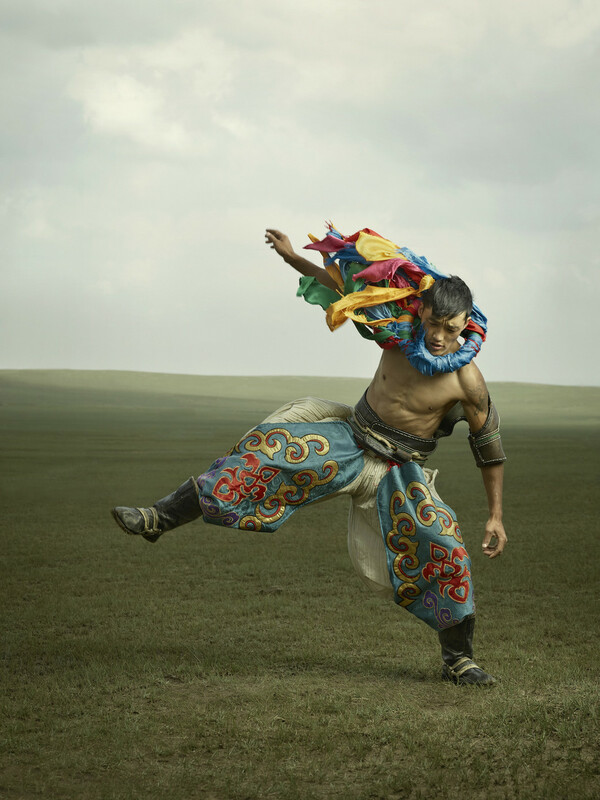 In rural Inner Mongolia, meanwhile, wrestlers wear studded leather vests and baggy pants and, depending on rank, a necklace of brightly colored ribbons. 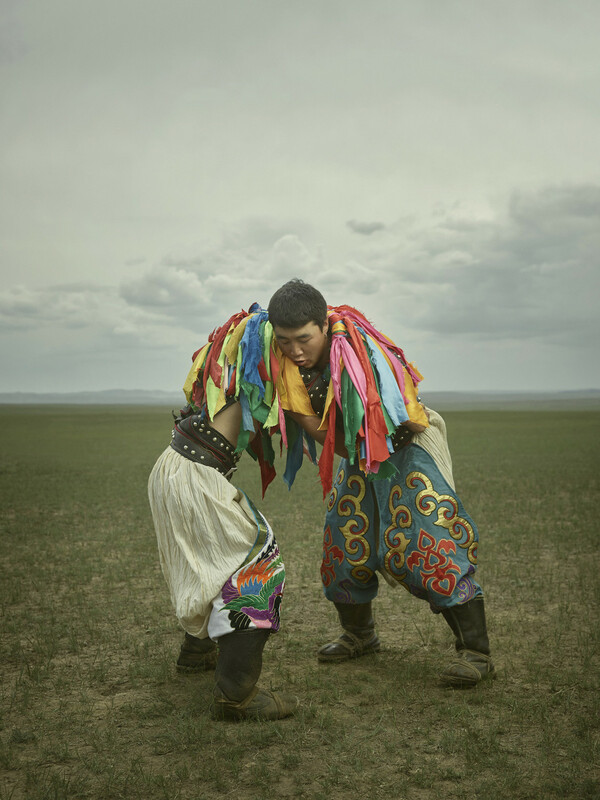 A Bökh match in this region (which is officially part of China) has no time limit; the small crowds sometimes find themselves watching a single bout unfold, in a makeshift ring, for hours on end. The open-chested vests worn by all Bökh wrestlers can be traced back to the legend of a female wrestler who, posing as a man, embarrassed her competitors by winning a major tournament. The revealing garment, which is tied at the waist by a rope, ensures that no such error occurs again. Though female wrestlers have gained national prominence by winning international medals and titles, including at the Olympic games, Bökh remains the only one of the three “manly arts” that continues to forbid women from competing. As a fighter gains prominence, he will earn different titles. A district champion is called an “elephant.” A provincial champion is a “lion.” Winners of the national tournament, which takes place during the summer festival of Nadaam, are regarded as ascending levels of Titan: Ocean Titan, Wide Titan, Invincible Titan. 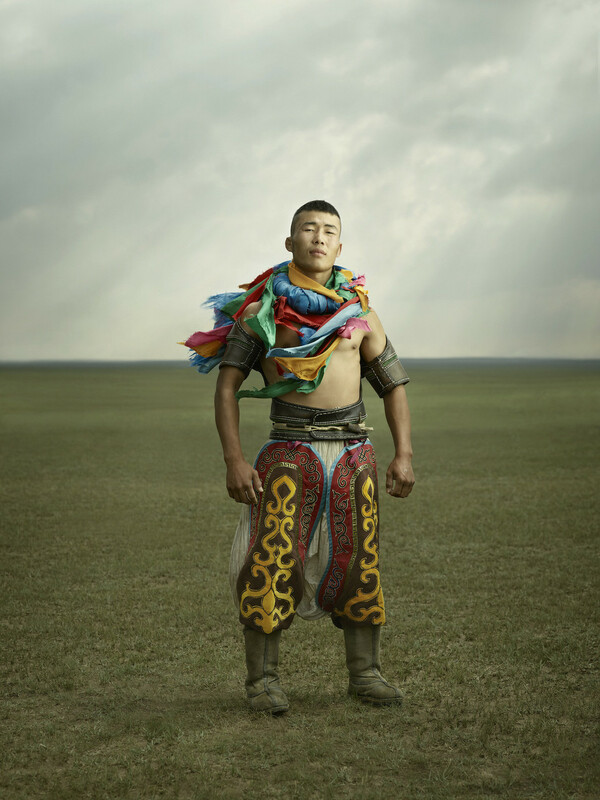 Since the birth of modern Mongolia in 1921, there have been 19 Invincible Titans. 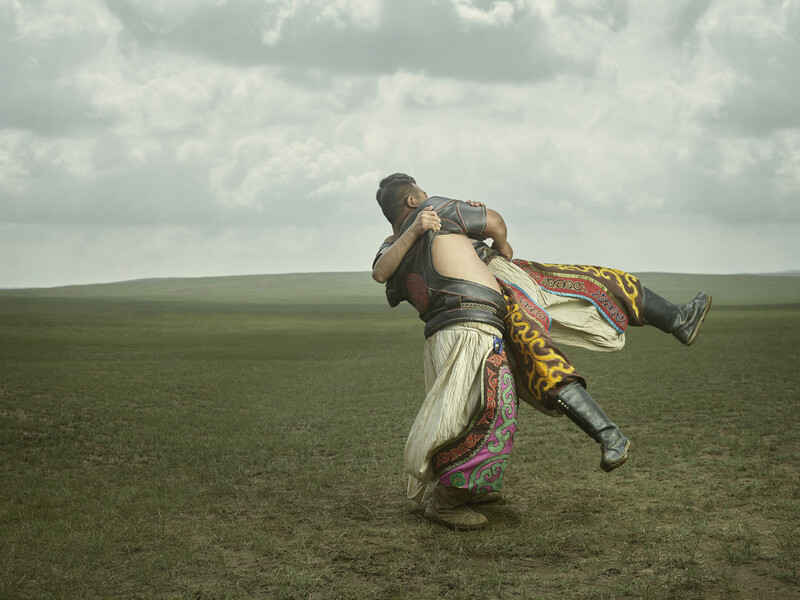 To this day, parents pray for their sons to become a Bökh wrestler—durable in body and mind, prepared to face the challenges of a difficult life in the Central Asian steppes. Thanks (in Romanian) for joining our community!